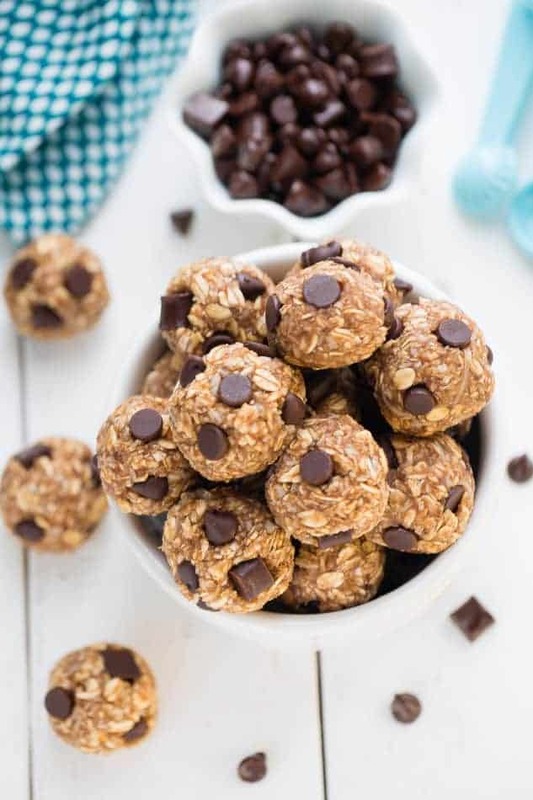 No Bake Peanut Butter Energy Bites with Chocolate chips made with ONLY 5 ingredients make the perfect healthy snack on the go! Best of all, this recipe is so easy to make with a step-by-step video to follow along! 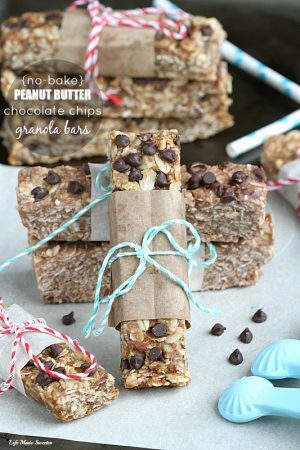 Pin for later and follow my Recipes board on Pinterest for more easy snacks! 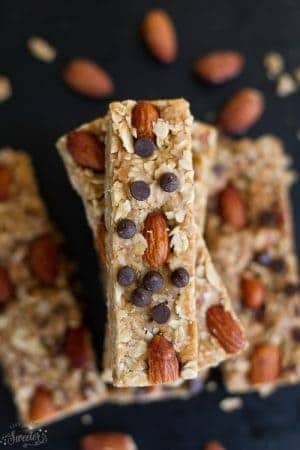 Energy bites are one of my favorite healthier snacks to make. 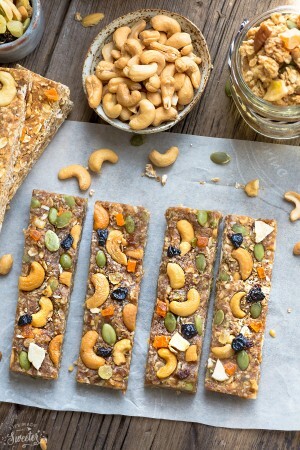 They make the perfect little pick-me up for before or after a workout. 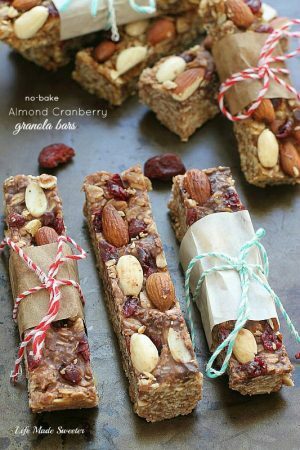 The best part is, you can easily make them a ahead of time and pack them for on the go. 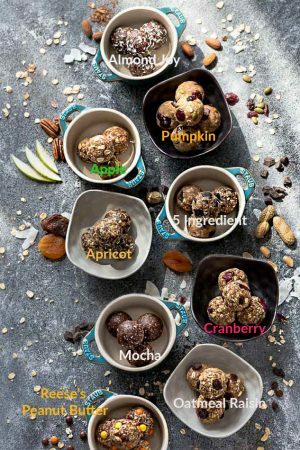 Plus I just shared these 9 No Bake Energy Bites that have something for everyone. 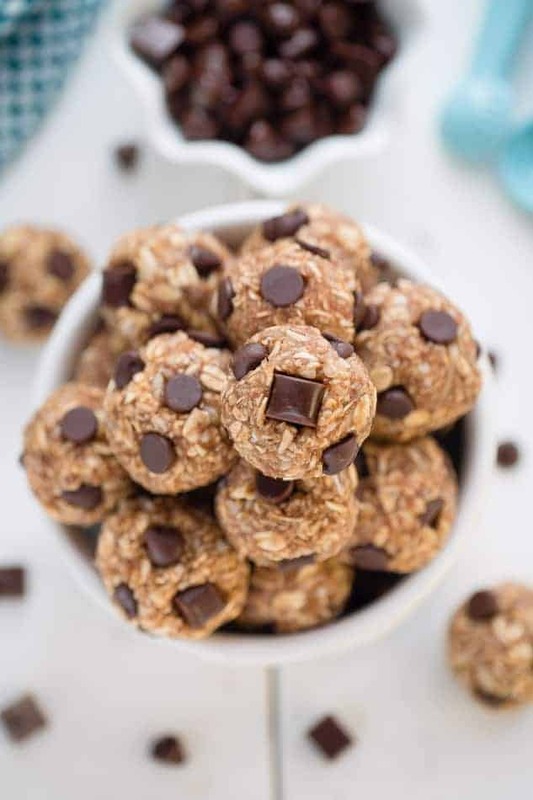 These No Bake Peanut Butter Chocolate Chip Energy Bites clock in at just 94 calories are gluten free, loaded with protein, fiber and best of all, they come together easily in just one bowl! 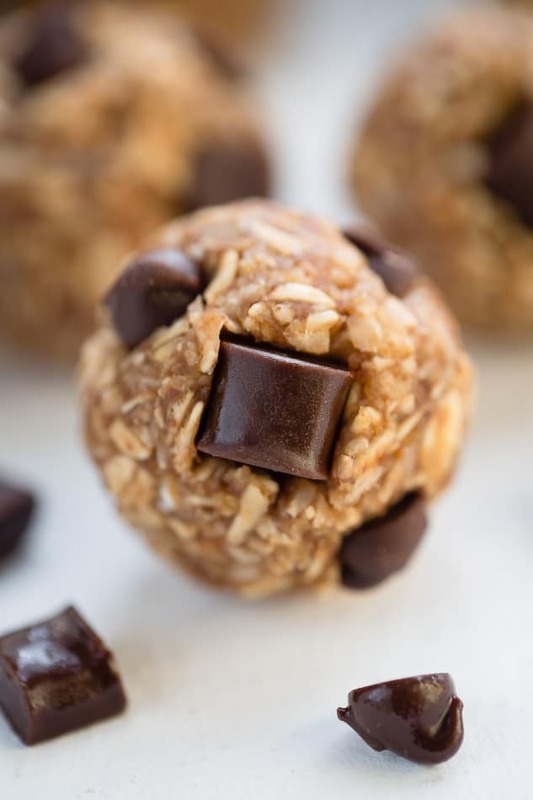 They contain NO refined sugar but are still decadent enough to satisfy any sweet tooth cravings. 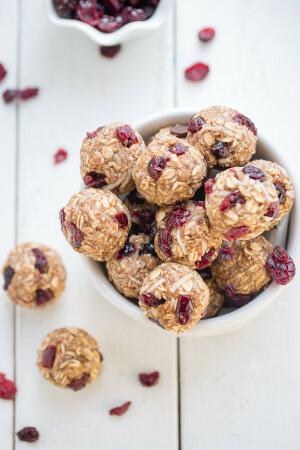 I made them the same day as these No Bake Cranberry Coconut Energy Bites and they’re a delicious way to fuel up when you need a little something to hold you over until your your next meal. You can easily use your favorite nut or seed butter you have in your pantry. 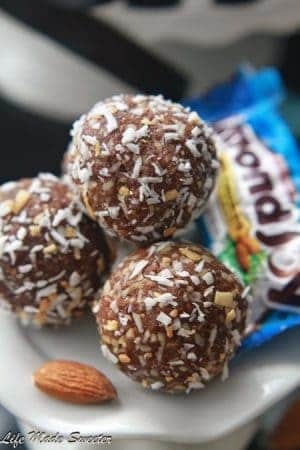 If you are looking for a snack without any added sweetener, just use banana instead like I did in the Cranberry Energy Bites and feel free to swap out the chocolate for nuts instead.